The father of Mohammad Merah says he plans to sue France over his son’s death. The father of the terrorist who murdered four Jews in Toulouse last week said on Monday he planned to sue France over his son’s death. Mohammad Merah's father also told AFP his son will be buried in his ancestral homeland Algeria. The father also hit out against France for having shot his son instead of taking him alive at the end of a 32-hour siege at his apartment in Toulouse. The father’s claims came on the same day French authorities formally launched an investigation into the brother of the Toulouse terrorist, believing he may have been an accessory to the murders. 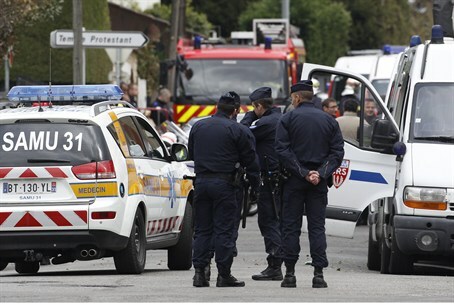 Abdelkader Merah, the murderer's older brother, is suspected of assisting Mohammed in preparing his attacks. The 29-year-old Abdelkader Merah, has allegedly told police that he is “very proud” of his brother for murdering his victims. “I regret nothing for him and approve of what he did,” Abdelkader reportedly told investigators. Earlier on Monday, intelligence officials confirmed reports that Merah spent time in Israel over a year and a half ago.